Your baby must be in an upside down position (head down) at the time of birthing and he must be facing your spine while his back is against your stomach. This is considered to be an ideal position for the baby to enter the world and provides your baby the easiest path to come out. If your baby is not in this position by the time of birth, then there can be certain birthing complications. 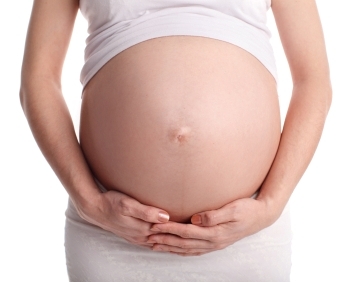 To avoid this, pregnant women must do all that they can to keep the baby in an upside position. You can take help of a midwife or a doctor to manipulate your stomach in such a way that the baby gets into the right position inside the womb. This process actually has a scientific term called ‘external cephalic version’. But this must only be done after 36 weeks and it involves encouraging your baby to somersault to get into the head down position. This can be done by relaxing your stomach using medication during the time when the doctor or midwife does their job. If the first attempt doesn’t work, then you can ask them to repeat the process once more. Another way to help the baby get into the upside down position in the womb is by using a forward leaning inversion. For this, you will need to elevate your hips and your knees about 12 to 20 inches above your head safely and to avoid falling down. You can take your partner’s or someone else’s help to get enough support to get into this position. Once you have achieved the position, and then hold it for about 2minutes so that your cervical ligaments get completely stretched. You will have to repeat this process about 2 times every day for a few days for best results. There is a technique called the Alexander Technique which is used by many mothers and is also recommended by many doctors and midwives to help a baby turn into the upside down position inside of the womb. This position or technique must only be attempted after the 36th week of pregnancy and to achieve it, you will have to kneel on your knees as well as your hands on a carpeted surface in such a way that your hands are kept right under your hips. After this, you will have to start crawling very slowly and pull one of the legs so that it is still touching the floor slightly. Pause between steps and take deep breaths. Do this for ten minutes and then stop and lean forward in the knee to chest position. After this, you will be required to lay down your forearms and your head on the floor. Make sure you relax for a few minutes before getting up. Until the baby turns, you will need to do this 2-3 times daily.